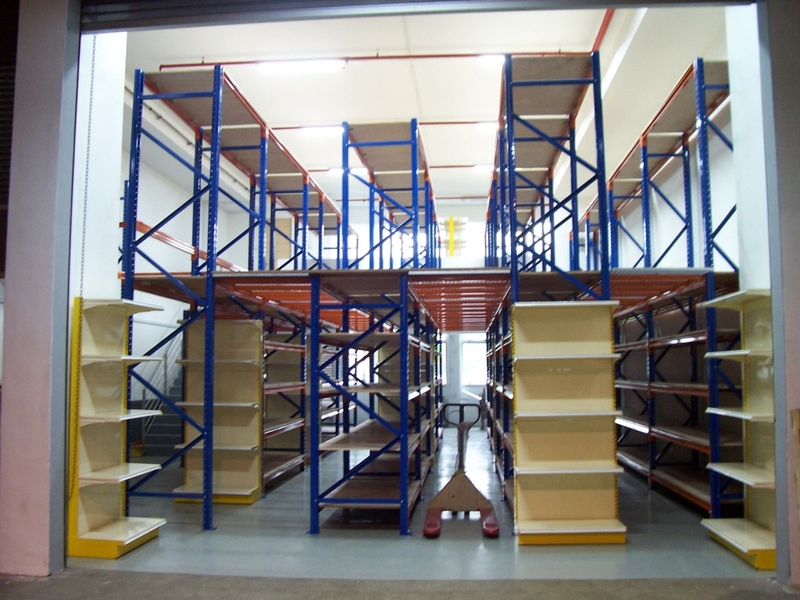 The Multi-Tiers Shelving System raises the upright shelving levels, and so increases the storage capacity. 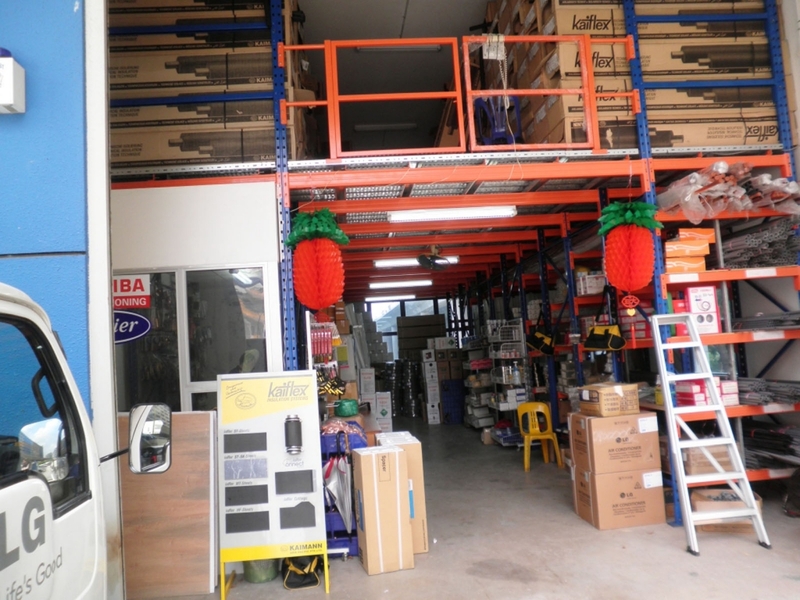 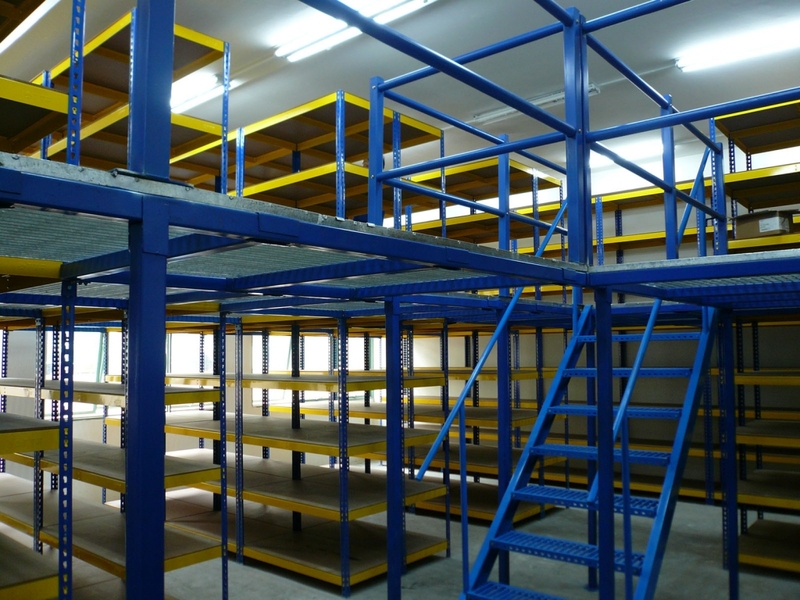 This is a perfect solution for those warehouses with high ceilings. 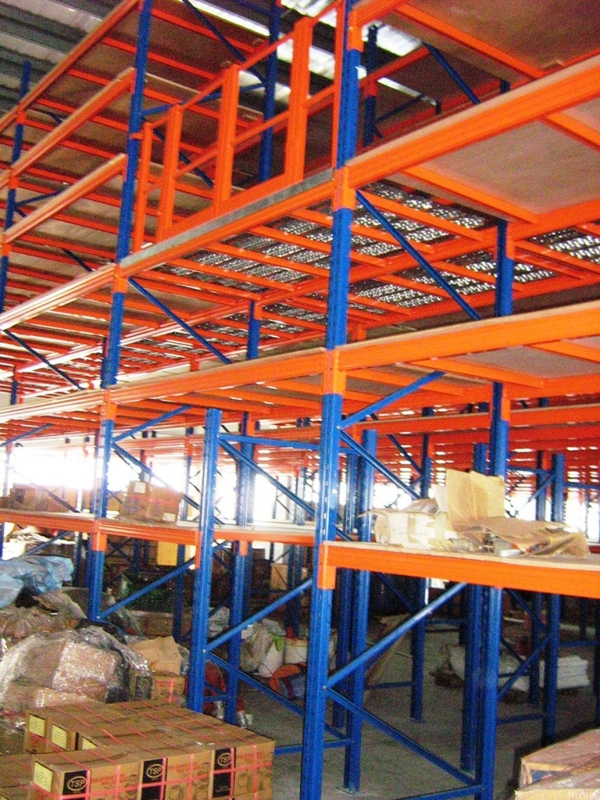 It accomplishes this by adding an additional walkway at an overhead height of between 2 – 3 meters. 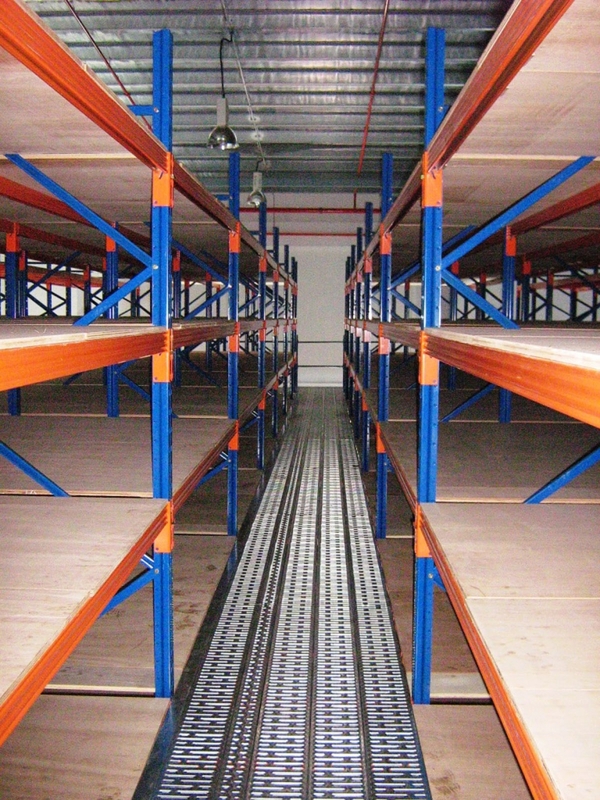 Walkways are available in a choice of plywood floor panels, open steel gratings, metal sheet floor panels or perforated metal floor trays. 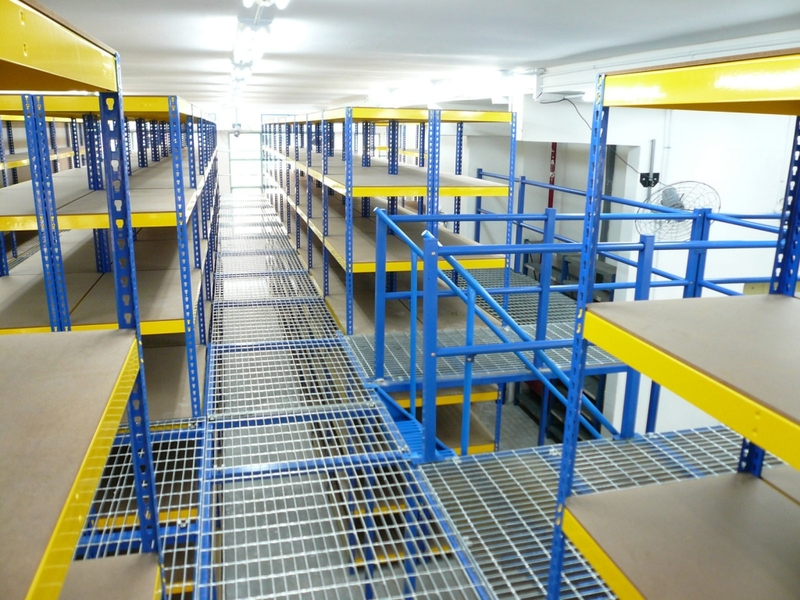 Floor open ends can be secured with handrails for maximum safety of the users. 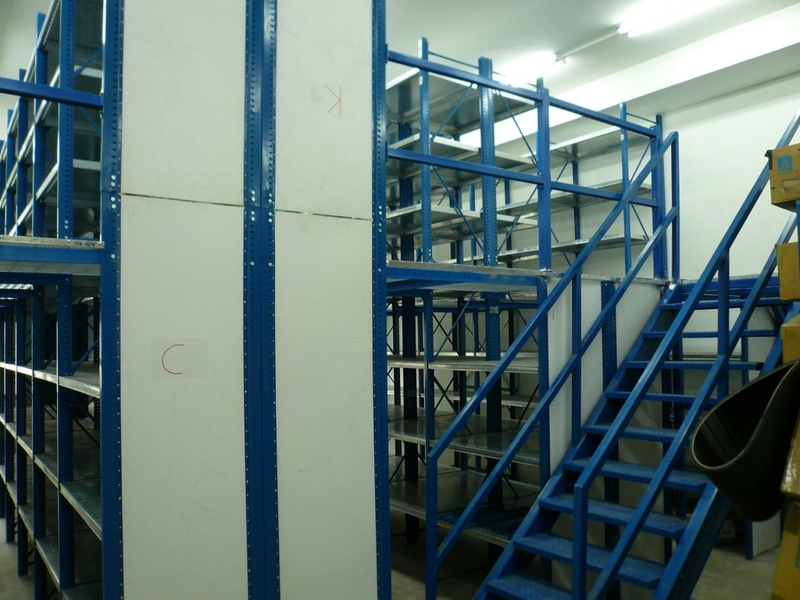 This system comes with a rigid metal staircase for access to upper tiers. 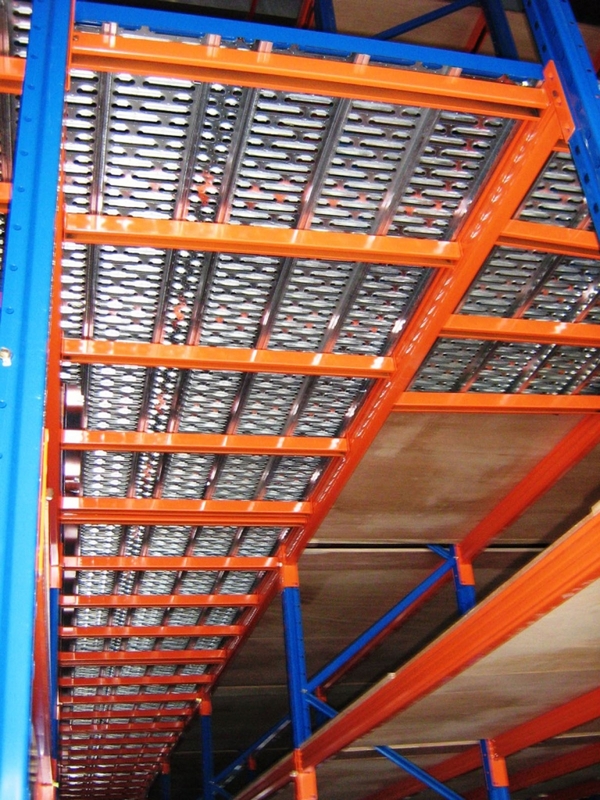 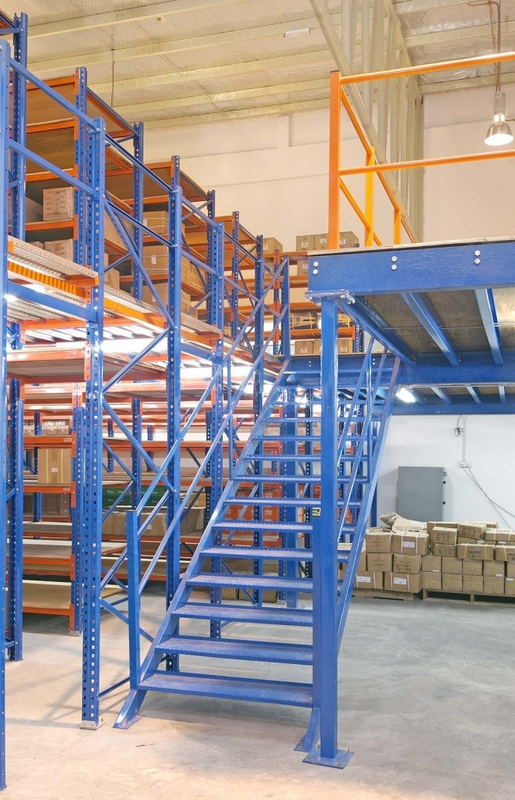 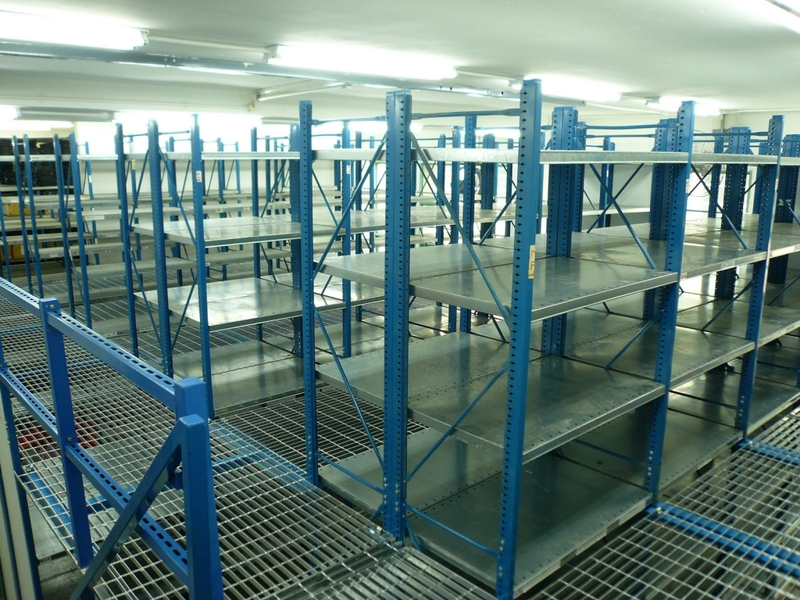 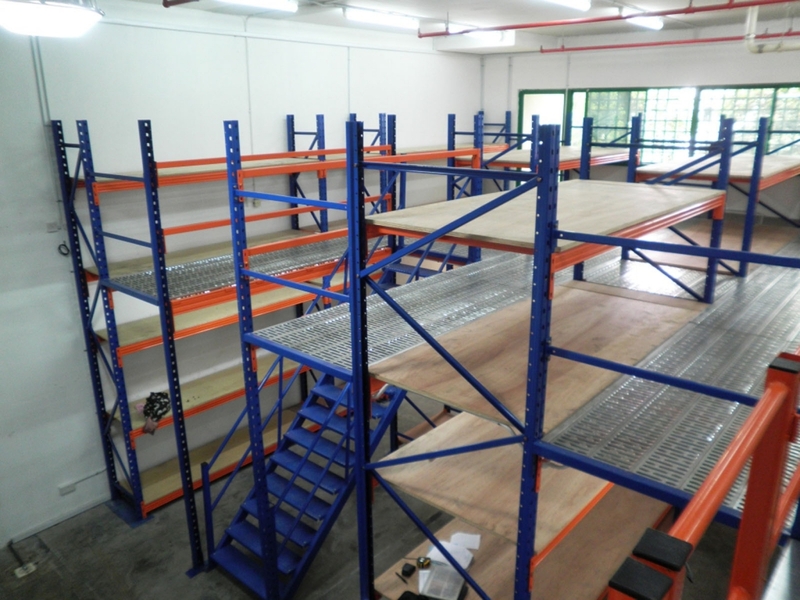 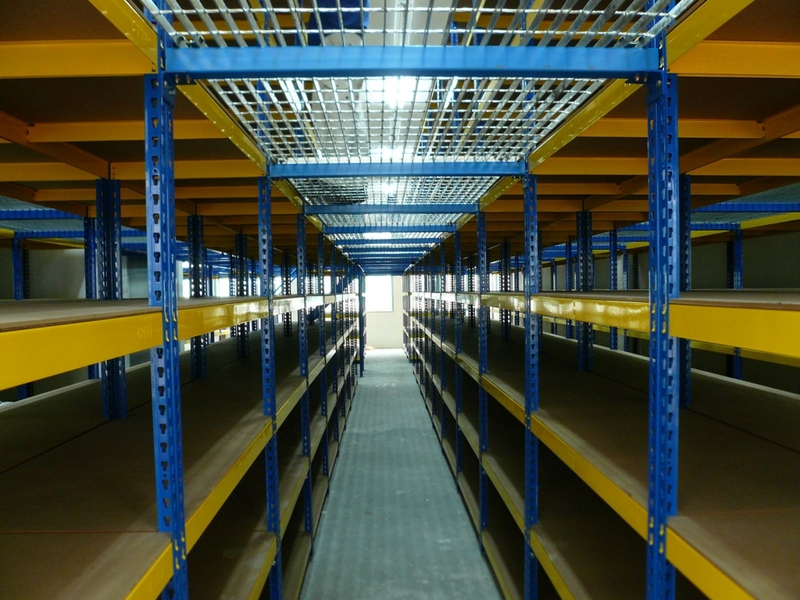 Depending on the required load per shelf, the system can be configured from boltless shelving, long span or heavy duty shelving systems.